Thank you for taking the time to explore how the Truckload Carriers Association (TCA) can benefit your company. Meet some of our newest members. If you have any questions, the TCA staff is ready to answer them. Please do not hesitate to send us an e-mail or call us at (703) 838-1950. TCA's member benefits provide solutions to many of your everyday challenges. TCA's website - www.truckload.org - provides a wide range of online tools and resources, many available through member-only access. TCA is the Voice of Truckload. 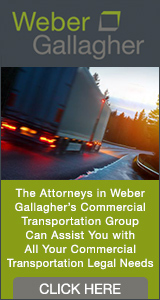 Learn more about our stance on key issues that affect the truckload industry. We just hosted our Inaugural Call on Washington; more than 30 TCA members met with 75 lawmakers on October 10, 2017. View photos. TCA produces several informative resources on a regular basis, keeping members up to date with commentary and analysis of the latest industry news. Stay in the know while on the go! Keep in touch with other members through our social networking channels. Whenever possible, the Truckload Carriers Association offers honor and recognition to spotlight the achievements of our members. These recognition programs are some of the most respected accolades in the trucking industry today. They represent TCA's commitment to recognizing the very best in trucking. TCA is dedicated to furthering the education and training of its members by providing a range of resources including the Truckload Academy's On-demand platform with recorded conference sessions, workshops, and webinars, Live Learning events (live webinars), Certificate programs, and industry-recognized Certifications. TCA works constantly to increase awareness about the trucking industry and to promote its positive image. TCA works with its industry partners to develop relevant programs that support members' business goals. TCA's membership is divided into four types based on the nature of the member's business. Any entity that principally provides fee-for-service transportation of property by motor vehicle. Annual dues are based on the company's truckload revenue from the preceding year. Any entity that provides motor vehicle transportation of property but does not do so principally on a for-hire basis. Annual dues are based on the number of trucks the company owns. Any entity whose primary mission is to provide training to individuals seeking to obtain a commercial driver’s license. As of October 1, 2017, annual dues are $362 for the first year, $569 for the second year, $776 for the third year and increases slightly for each year thereafter. Learn more about the school dues. Any entity involved in the sale of goods or services to the trucking industry. Annual dues are $1,900 as of October 1, 2017. In addition to joining one of the above four membership types, TCA members can participate in special-interest divisions that provide educational and networking opportunities for various operational segments and functional interests within the truckload industry. TCA's Independent Contractor Division provides carriers operating equipment leased from owner-operator drivers an opportunity to meet with their peers to discuss problems, share ideas, and seek solutions unique to utilizing independent contractor drivers. The Division holds its annual meeting in October. The Division also sponsors TCA's annual TCA Owner Operator of the Year Contest in order to recognize outstanding independent contractor drivers within the industry. TCA's Refrigerated Division provides carriers operating temperature-controlled trailers an opportunity to meet with their peers to discuss problems, share ideas, and seek solutions unique to their specialized area of operations. The division holds its annual meeting in July. TCA's Safety & Security Division provides truckload carrier managers and supervisors responsible for their companies' safety and security programs an opportunity to meet with their peers to discuss problems, share ideas, and seek solutions unique to their area of responsibility. Issues commonly addressed by the Division include the new and existing federal and state motor carrier safety regulations, the federal hazardous materials regulations, highway accident investigation, cargo security, driver training, and truck inspections. The Safety & Security Division holds its annual meeting in May. TCA's Open Deck Division provides carriers operating open haul equipment an opportunity to meet with their peers to discuss problems, share ideas, and seek solutions unique to their specialized area of operations. Division membership is open to carrier and associate members of TCA.